Beware Of High Humidity In Your Home! It’s no surprise that this Ohio summer has had it’s share of hot, humid days. Not only are these days uncomfortable, they can also cause damage to both your health and your home. Make sure you educate yourself and take the proper steps keep your family and your house safe from high humidity. 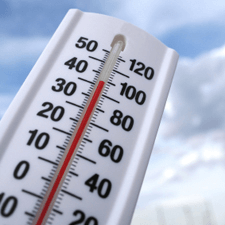 When it comes to your health, high humidity in the summer can be especially dangerous because it could lead to a heat stroke. If you or someone you know has heart problems or asthma, make sure they are advised to be extremely careful during such conditions. Additional moisture in the air can also promote the growth of fungus and molds, exposing your family to harmful bacteria. High humidity is harmful to your home, as it can result in rot and structural damage. Drywall, doors, wooden furniture and other belongings will also suffer from the effects of excessive moisture. While these can help, the best way to lower humidity levels in your home is also the easiest: use your air conditioner! As air conditioners cool the air, they also remove humidity. A high-efficiency air conditioner is the perfect solution for high humidity on hot summer days. Make sure your unit is ready for the upcoming heat wave! Request a FREE in-home estimate today, and have your new air conditioner installed tomorrow!